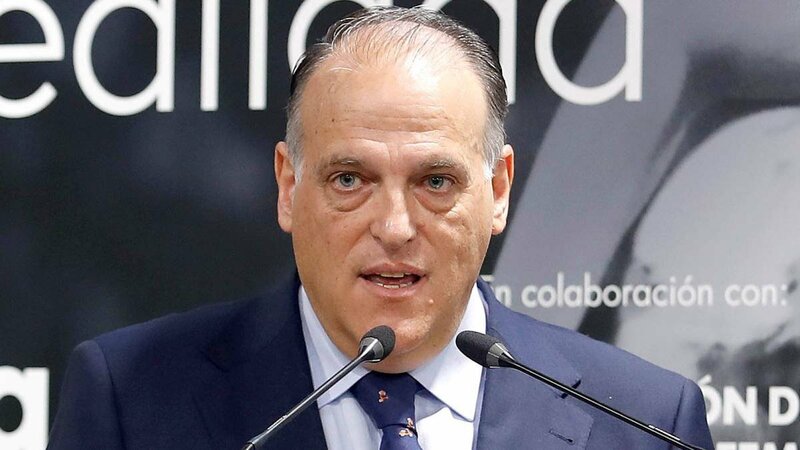 The Real Madrid president had expressed lack of interest in having domestic matches played abroad and the LFP chief came up to remind Perez that it was the same company gunning for the oversea matches that also organises their pre-season games. Tebaz also reminded Perez that having a high profile match played abroad wasn't compulsory in response to Perez categorically refusing to have any of his club's matches taken abroad. The game on the cards is that involving Barcelona and Girona on January 26th. Both teams involved have written to the Spanish Football Federation and given their consent. Tebaz also added that when everything had been thrashed, he'd give an explanation but that the times hadn't arrived yet.